Alia is committed to providing answers to any questions you might have regarding her services. 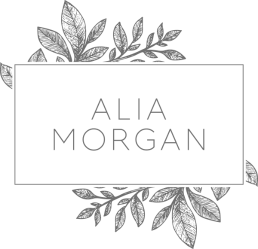 From newborn photography sessions to outdoor family photo shoots, Alia Morgan Photography has done it all. An amazing eye for detail and the ability to perfectly capture life’s precious moments ensure your photos will be treasured for the rest of your life. Alia Morgan: Real smiles. Real emotion. Real laughter. Contact us today with any questions you might have regarding Alia’s newborn photography, maternity photo shoots, and family portrait services. A: It is never too early to book, but during your second trimester is preferred. Newborn sessions take priority, so spaces are limited each month. Newborns are BEST photographed during the first two weeks after birth. Q: When and where will my newborn session take place? A: Newborn sessions are held in your home for more candid (lifestyle) images, or at my in-home newborn studio for more posed images (think backdrops, baskets, etc.). Sessions take place when baby is between 5 and 10 days old. I consult clients prior to the session to learn about the types of images they would like and any “must have” shots. It is important to me that clients have a customized experience when I work with them. Q: My baby spent time in the NICU and was unable to come home right away, are you still able to photograph them even though they are older than 10 days? A: Absolutely! Contact me and we will discuss your baby’s specific situation. Every baby deserves to be photographed. Q: What exactly is lifestyle photography? A: Well, I’m so happy you asked! Lifestyle photography is a more candid, natural approach to photographing your family. Whether it is in your home or in a park, the focus is on relaxed, artistic images. I have a passion for seeing real moments caught on film (well, digital film that is!) The beauty of lifestyle is that it’s completely unique to you and your family. Maybe it’s you playing with your children, or a couple nuzzling their brand new baby with faces full of emotion…. it’s all the little details of who you are all rolled up into a relaxed, perfectly-not-so-perfect image. Q: Do all of your families have gorgeous, immaculate homes? A: The short answer is, no. The focus will be on you, your children, your family. I don’t walk around photographing dust bunnies or the chew marks from Rover’s puppy days. Trust me, it’s my job to turn the ordinary into extraordinary! Q: So if you are a lifestyle photographer, do you do “posed” images? A: Of course! I consult clients prior to the session to learn about the types of images they would like and any “must have” shots. It is important to me that clients have a customized experience when I work with them. Q: Do you offer studio sessions? A: I have an in home studio for newborns and children. Family sessions are done at the location of your choice – your home, the park, etc. Q: What is a “cake smash” session? A: Cake smash sessions are a blast for you & your one year old – and for me, who am I kidding?! My clients use them to celebrate a very important milestone, the first birthday! Your little one is seated with a tiny cake and allowed to “have at it”, while I snap away. They make for such fun and precious photographs. Contact me for details on these types of sessions, including vendors for party hats, cakes, etc. Q: I would like to book a session, do I pay my session fee now? A: Yes. In order for me to secure your date, the session fee must be paid in full at the time of booking. Contact me for payment information and to secure your session. Please note that I typically book 2-3 months in advance, Saturdays are 3-4 months out. A: Once your session has been booked, I provide you with all the fun, additional information during our pre-session consultation. I am always here to help! Q: Do you sell digital images? A: Yes, I sell high resolution digital images, with printing release. They are available à la carte or as a part of a Collection. Please contact me for detailed pricing information. Q: When can I expect to see my images online? A: With my client’s approval, I provide a sneak peek on Facebook within the first week of the session. My turn around time for all of your images is currently 2-3 weeks. Once your proofs are ready, I will contact you.